The Man Who Climbs Trees: The Lofty Adventures of a Wildlife Cameraman (Hardcover) | Eagle Harbor Book Co.
Every child knows the allure of climbing trees. But how many of us get to make a living at it, spending days observing nature from the canopies of stunning forests all around the world? As a wildlife cameraman for the BBC and National Geographic, James Aldred spends his working life high up in trees, poised to capture key moments in the lives of wild animals and birds. Aldred’s climbs take him to the most incredible and majestic trees in existence. In Borneo, home to the tallest tropical rain forest on the planet, just getting a rope up into the 250-foot-tall trees is a challenge. In Venezuela, even body armor isn’t guaranteed protection against the razor-sharp talons of a nesting Harpy Eagle. In Australia, the peace of being lulled to sleep in a hammock twenty-five stories above the ground— after a grueling day of climbing and filming—is broken by a midnight storm that threatens to topple the tree. 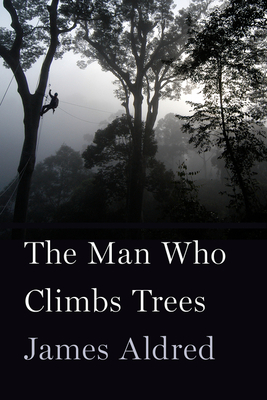 In this vivid account of memorable trees he has climbed (“Goliath,” “Apollo,” “Roaring Meg”), Aldred blends incredible stories of his adventures in the branches with a fascination for the majesty of trees to show us the joy of rising—literally—above the daily grind, up into the canopy of the forest. JAMES ALDRED grew up on the edge of a forest and spent his teenage years exploring it. By fourteen he was building forest shelters and sleeping rough in the woods. By sixteen he was spending much of his time up in the branches. These days, when he’s not filming in far-flung countries, he lives in the west country of the UK with his wife and children. us is as alive as any creature—and trees are wondrous individuals with deep truths to tell. This is a book filled with beauty, suspense and revelation. I loved it!" "James Aldred is the ideal guide to the unexplored realm hovering just over our heads—the world of the forest canopy. His writing is vivid, a feast for the senses. Even under assault by bugs and birds, Aldred remains imbued with an irresistible sense of awe for this aerial wonderland that few of us will ever see."